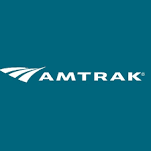 I applied for work as a customer service representative with AmTrak. I fit the qualifications and could do the job, plus I like being around trains. Did not get an interview but the standard "we have decided to go with other candidates." I am almost 59 years old. I know my age was a factor. Employer favors relatives and friends over qualified results proven employees. Accomplished, award winning, results achieving employees are pushed out as they age in favor of younger workers who are related to or friends of the ruling administration. Anglos are especially discriminated against.